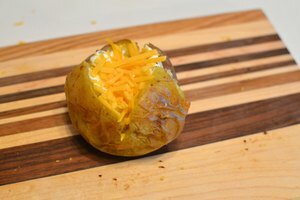 How do I Bake Potatoes in Electric Roasters? 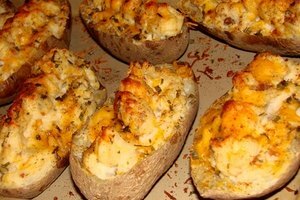 Baked potatoes are one of the most versatile and easy-to-prepare food choices. Whether you plan to serve potatoes as a tasty side dish or as the main ingredient of a do-it-yourself potato bar, they can be prepared easily in an electric roaster. Electric roasters are a convenient for large family gatherings as well as group events and potlucks. Roasters save time and energy that can be better spent with your family and friends rather than over a hot stove in the kitchen. Preheat the electric roaster to 400 degrees Fahrenheit. The lid should be on the roaster during the preheat cycle. 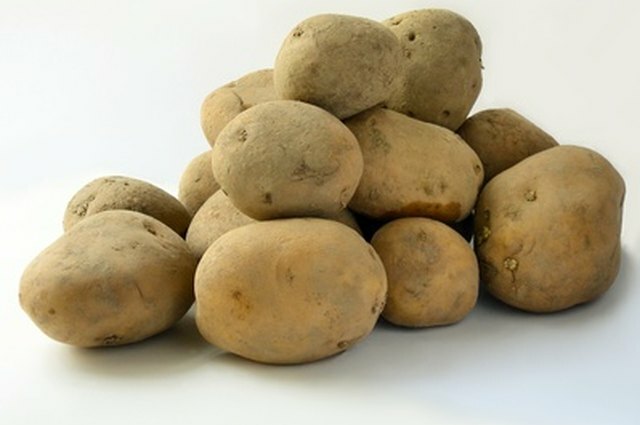 Scrub all dirt and any eyes from the potatoes with the vegetable brush and cold water. Rinse potatoes thoroughly and use the paring knife to remove any black spots. With paring knife poke several holes in each potato to prevent them from bursting as they cook. Mix 1 cup of olive oil and seasonings of your choice in a large bowl. Roll each potato in the mixture and place inside the electric roaster. When finished, cover the roaster tightly with the lid. Bake potatoes in the roaster for 1.5 to 2 hours, until soft. Check potatoes with a toothpick to be sure they are soft all the way through. If some potatoes are not done, return them to the roaster for an additional 10 minutes and check again. Remove the baked potatoes and serve, or turn off the roaster and leave the lid on to keep them warm. Do not remove the lid during baking to prevent heat loss, which will lengthen cooking times. 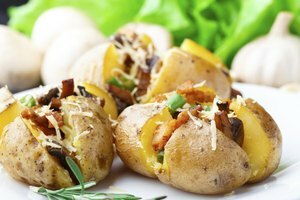 Larger potatoes will take longer to bake than smaller potatoes, so adjust cook times as needed. Do not place more than 15 lbs. of potatoes in the roaster for best results.